I teach English at a teacher training college in Rotterdam where we train teachers for further education in all the mainstream school subjects. My particular responsibility is phonetics, British culture and to some extent the history of the language — all fascinating stuff — and it is a privilege to work with young ambitious students. The Dutch have always been at the forefront as foreign learners of English and RP has been the standard here for many years. This is now coming under pressure from GA (among others) and we are slowly being faced with the fact that we shall have to let RP go, that is if we want any of our students to graduate. I should be interested in any comments that teachers at training colleges in other European countries may have and how they are coping (or not) you may have on what I see as a problem. Could you put this on your blog and see if anyone reacts at all ? I should also of course be interested in any observations you may have. This is a difficult issue, and one people often ask me about. spelling-to-sound rules and the most important exceptions to them. Only when those are all thoroughly under control should you start worrying about whether to take British or American or some other kind of English as your model. And let’s face it, for most learners of EFL they are not all thoroughly under control. However, that does not altogether address the question as put by Mr Rosser. I’ll return to the matter tomorrow. Masaki Taniguchi has sent me a recording made aboard a train from Canterbury to London. Here is a fragment of the announcement made by the train manager to the customers (or, as we used to say, by the guard to the passengers). Good afternoon, ladies and gentlemen, and welcome. We are interested not so much in the articulatory details — the extreme reduction of and gentlemen and — but in the intonation. Clearly, the fragment ends with a falling nuclear tone on \welcome. But what about the earlier part? 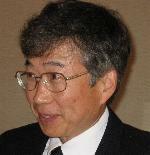 Hearing the high level pitch on good and the low and gradually rising pitch extending from aft- to -men, Masaki wondered whether to analyse this as a high head accent on good followed by a low-rise nuclear accent on af-. The difficulty with this analysis, as he realized, is the unexplained stress (accent) shift on afternoon. We expect to lose the accent on -noon before a following accented syllable, but not otherwise. We’ve come for 'afternoon 'tea. So what’s going on? After all, we don’t expect any accents at all in a routine trailing vocative such as ladies and gentlemen. What causes the stress shift? — the high pitch on good is a pre-head, not a head (the word is not accented); the low pitch on after- is a low level head; and the rising nucleus starts at its expected place, -noon. That seems to be the only analysis that corresponds (i) to the perceived pitches, and (ii) to what we know linguistically about English intonation. 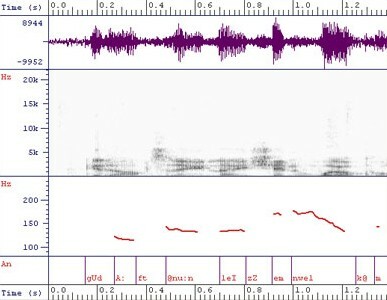 As is so often the case, a physical analysis of the speech signal doesn’t help us resolve the issue. The high pitch we perceive on good doesn’t show up at all on the frequency tracing below, perhaps because I haven’t got the levels properly adjusted. Af- is indeed physically lower than -ternoon, as Masaki perceived, and the whole of -ternoon la- is pretty level. Not only is the articulatory detail very reduced as compared to the underlying linguistic facts, so is the fundamental frequency detail too. How marvellous it is that the human perceptual mechanism can nevertheless reconstruct it all. And how difficult for non-native speakers. 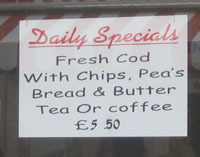 Yesterday’s Guardian education section had a good article about English spelling and its economic consequences. Many people are familiar with the NATO/ICAO “phonetic alphabet” (alfa, bravo, charlie, delta, echo, foxtrot...). In fact in LPD I list these ‘communications code names’ under each alphabetic letter. Nigel Greenwood points out that in the NATO/ICAO scheme it is not only the letters that are supposed to be pronounced in specified ways, but also the numbers. Their pronunciation is indicated by respellings, hopefully to avoid any confusion. The two best-known special pronunciations are fife for ‘five’ and niner for ‘nine’ -- a sensible way to avoid confusion between the two over a crackly radio channel. But one confusing respelling is fower for ‘four’. In discussion of this recommended pronunciation people tend to assume that it’s meant to rhyme with "flower" (perhaps because it's immediately preceded by "tree"). In fact, though, I presume this respelling originated in an attempt to train people to say something like ˈfəʊə rather than the monosyllabic, non-rhotic fɔː. I very much doubt whether it was intended that radio operators should actually say ˈfaʊə. The question, then, is whether "fower" is meant to rhyme with flower, tower or rather with grower, mower. Fower seems also to be the Scots dialect spelling for four. Perhaps someone can tell us what this means phonetically. Or they might even have asked a phonetician to advise on making respellings unambiguous. A few days ago I was invited to take part in a radio discussion on the topic of the apostrophe. Its use or misuse is something of an obsession of the kind of listener who likes to bemoan the deteriorating standards of the younger generation, in this case their failure to master the principles of English spelling and punctuation. The question that had arisen was the correct spelling of expressions like sports day / sport’s day / sports’ day. There were three of us ‘experts’ being interviewed. 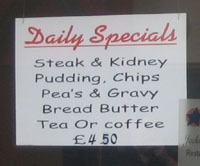 We all agreed that we need no apostrophe in sports day, since it is a day for sports, not a day of a sport or a day of sports. Going further, somewhat to my surprise, we all agreed that possessive apostrophes could well be entirely banished from English spelling. Since we do not distinguish boys, boy’s, and boys’ in speech (all are bɔɪz), there should be no need to distinguish them in writing. 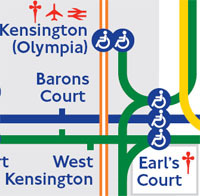 I pointed out various inconsistencies in current usage such as the adjacent stations in the London Underground officially spelt Barons Court and Earl’s Court respectively. When I was a boy people quite often still wrote ’bus and ’phone, to show that these were shortenings of longer words. No one does that any more. Well, hardly anyone. The only apostrophes we really do need, I suggested, are those in the contractions he’ll, she’ll, I’ll, we’ll, since otherwise they could be misread as hell, shell, ill, well. Other than that, we can do without. 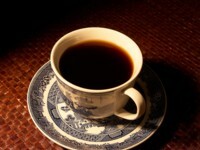 It is sometimes very difficult indeed to hear the difference between instances and incidences. That is why some people confuse the two words. Here are a few cases thrown up by Google. There’s another mystery with this enquiry. The transcriptions in the second edition of the OED do not use any such symbol, nor do those on the OED word of the day site. The citation must have been taken from some other source. That source is not the Oxford Advanced Learner’s Dictionary, either. It must be the Oxford Dictionary of Pronunciation, or some other work drawing on the same database. In the ODP, the barred small-cap I is merely an abbreviatory convention meaning ɪ or ə. See page x of the introduction to the ODP. So you can pronounce the vowel in either of those two ways. Barred small-cap I is not an official IPA symbol and therefore not represented in (X-)SAMPA. The SAMPA symbol  stands for a lower-case barred i, ɨ, which is used in the transcription of Russian and various other languages, including northern varieties of Welsh. But what really worries me is this: how come the enquirer feels he has to write to me instead of asking his teacher? It also seems strange that the teacher should reportedly be using ɨŋ to transcribe (presumably) the English ending -ing. I would want to ask the teacher about that myself. I get quite a few emails from readers asking questions about phonetic matters or asking me to deal with a particular topic. There are too many to deal with them all, but I try to cover them as far as I can. Hi! I'm an Argentinian English teacher who loves phonetics. I must admit I'm becoming an addict to your blog and I recommend it to whoever happens to mention the word phonetics, even by chance! As a Teacher Training College student, some ten years ago, I was never told that there was a vowel called "happy i". Now that I'm a teacher trainer I come across that item very often and it worries me because of the fact that I can't find any theory related to the topic which can clearly explain its use. I'd love to read about this issue in your blog. The point is that the last vowel in happy and all other similar words can be like the iː of fleece or like the ɪ of kit or something intermediate between them. The distinction between iː and ɪ is “neutralized” in this environment. There are many thousands of other examples besides happy — very, coffee, valley, spaghetti, sanity, suddenly; also the second vowel in various, radiation. Current pronunciation dictionaries and other works use the notation i to show these cases where the distinction does not apply. Where it does apply, they write iː (as in green, bead, feet, reach, seating), and ɪ (as in grin, bid, fit, rich, sitting). Please read about this in LPD in the panel on Neutralization, or in my Accents of English section 2.2.25. 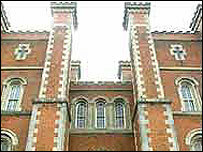 See also Jack Windsor Lewis’s blog entries for 10 Nov 2006 and 3 Jan 2007. There is a corresponding back vowel u, as in thank you, incongruous, situation. More technically, it seems to be right to recognize two distinct vowel systems in English. The strong system (in RP) covers ɪ e æ ɒ ʌ ʊ iː eɪ aɪ ɔɪ uː əʊ aʊ ɪə eə ɑː ɔː ʊə ɜː, while the weak system covers not only i u ə but also ɪ ʊ, as in finishes, executive. Weak vowels occur only in unstressed syllables, although strong vowels may be either stressed or unstressed. The vowels ɪ ʊ therefore belong to both systems. As a weak vowel, however, ʊ is increasingly replaced by ə. Various other accents, e.g. Australian, lack the distinction between weak ɪ and ə, or at least give it a very low functional load. Thus English seems to be moving towards a weak system of three vowels only: i u ə.
in alternations such as preside - president, variety - vary, anatomy - anatomical. One of the reasons our spelling system is less than transparent is that it generally writes the strong and weak alternants identically. The happY vowel is good news for speakers of languages such as Spanish, for whom the distinction between iː and ɪ is difficult. Where we write i, they needn’t bother to make that distinction. It's wonderful that the name of our typeface has inspired your elegant discussion. Most Americans, when they say the name in my hearing, pronounce it the same way, though some scholars, like Pierre MacKay — classicist, Turkish and Arabic scholar, and typographer — end it with a more romantic [a]. And, of course, our Spanish colleagues pronounce it as you have described, choosing the position of the stress depending on which shade of meaning they think may be intended. Such subtlety, however, goes beyond our modest philological intentions. I should let you know that another version of the Lucida Sans design has been released with a larger set of Unicode phonetic characters, in both regular and bold weights. 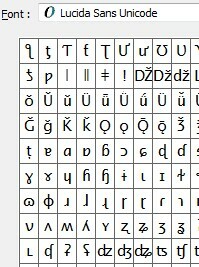 It includes the IPA and related characters, as well as polytonic Greek, Uralic phonetic characters, and others. These are the "Lucida Grande" fonts bundled with Macintosh OS X and with Safari for Windows. The name change, mainly a marketing distinction desired by Apple, will no doubt raise the question of how "Grande" is pronounced in "Lucida Grande". Is the final e silent, [e], or [ə]? The modern practice of naming typefaces began in earnest in 19th century England, when the Cason, Thorowgood, and Figgins foundries began to give their odd new designs odd new names like "Egyptian", "Sans-serif", and "Grotesque", terms that are today generic but then referred to specific designs. In the 20th century, some German typefoundries began to give their new typefaces Latinate names for international marketing. The Bauer foundry's "Futura" of 1927 was one of the most popular designs of the century. Hermann Zapf's "Optima", from Stempel in 1958, was another widely popular design, and the Stempel foundry's "Helvetica" of 1957 remains one of the most successful typefaces of all time. A popular feature-length documentary movie about it premiered in 2007. 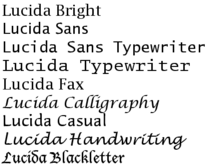 Because Lucida was designed to optimize legibility in early laser printing and computer screen display, we wanted to give it a name that could suggest it was made of light and was clear despite the low resolutions of screens and printers at that time, but we didn't want the name to be a mere description. "Lucidus" or Lucido" might have been fine, but the success of Futura, Optima, and Helvetica led us to consider a name ending in the Latin feminine singular. Maybe it was just superstition that a name could influence popularity. The ambiguity of that final 'a' in English then leads to your question of pronunciation. He signs himself Chuck Bigelow. I would say how interesting it is to hear this straight from the horse’s mouth, if that didn’t sound rather disrespectful. As you may have guessed from my reference to Facebook last week, I have recently been digging around on this rather addictive website. I have actually been a member for over a year, having been recruited by members of my running club who belong to it and by the faculty IT advisor at UCL. But only now have I been exploring some of my various other connections. Each of us represents a unique intersection of a number of different human networks, groups, and interests. Facebook brings these all together, since it has the potential of delivering a steady stream of information from the other members belonging to each of your particular networks, groups, or interests. There are several other groups relevant to phonetics. There is an International Phonetic Association group with just under a hundred members. For experimental phoneticians, there’s Acoustic Phonetics: May the Formants be with you, with a spectrogram displayed on its home page. and there is a new group called Funetics!. The way it works is this. Once someone is on Facebook you can invite them to be one of your friends, or equivalently you can accept their invitation to be one of their friends. Thereafter you will be able to see any information they post on Facebook, and they will see yours. Joining a group means you see information posted by members of that group. So I can report that one of my academic phonetic colleagues was recently taken out to dinner by her lovely husband (who's paying), but is now vegging out, having prepared and eaten a vast roast dinner; that one of my former students has dyed her hair; that a former course member of SCEP (of which there are quite a few on Facebook) has become interested in Jane Austen; and that a certain Frenchman has just lost his girlfriend. sen|kar|ul|in|iĝ|is ‘became girlfriend-less’ (-is past tense). This agglutinative structure has the advantage of drastically reducing the burden of vocabulary learning for the language learner, while being a flexible and inventive resource for those who can manipulate the language. If you need to express a concept, you can just build it up out of known morphemes with constant form and meaning. On the other hand it has the disadvantage of making sentences harder to understand for those who have never studied the language and imagine that mere knowledge of French, Italian or Spanish will suffice to work out what something means. on your blog at We Blog Cartoons. 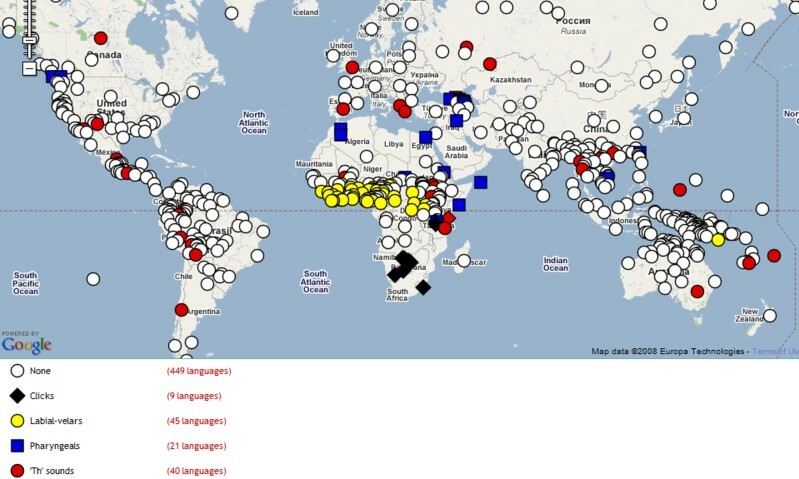 No sooner had I posted the discussion of the number of sounds in the world’s languages (30 April) than Language Log passed on the good news that you can now access the World Atlas of Language Structures on-line. You can read the entire text of each chapter and look at all the maps. Here’s one of them, “Presence of uncommon consonants”. Here are some quotations discussing the number of different consonants and vowels in languages. The range of resulting inventories extends from a low of 6 consonants to a high of 122. Rotokas (West Bougainville; Papua New Guinea) has only six consonants. These might be represented in a simplified transcription with the letters /p, t, k, b, d, g/ although the range of pronunciations heard in different word positions covers a considerably wider range of sounds than these letters suggest. !Xóõ (Southern Khoisan; Botswana) has 122 consonants, mainly because it has a very large number of different click sounds with which a word may begin. The more typical consonant inventory size is in the low twenties, with the mean for the 562 languages being 22.7, the modal value 22 and the median 21. The average number of vowels in a language is just fractionally below 6. The smallest vowel quality inventory recorded is 2 and the largest 14. There are 4 languages in the sample with only two contrasting vowel qualities; these are languages in which only the height of the vowel has any distinctive function according to at least one possible interpretation of their phonetic patterns. An example of this extreme is Yimas (Lower Sepik-Ramu; Papua New Guinea). Only one language in the sample, German, uses 14 vowel qualities and only 2 make use of 13, namely the variety of British English included here and Bété (Kru, Niger-Congo; Côte d'Ivoire). Considerably more languages have an inventory of five vowels than any other number - 188 or just over one-third. The next most frequent inventory size is six vowel qualities. Fascinating stuff (to me, at least). Charles Bigelow tells me that he and Kris Holmes (the designers of the Lucida typeface) pronounce it ˈluːsɪdə, just like lucid plus a final schwa. Frankly, we don't object to any of the pronunciations. We're just glad to hear that people are using it. Emily Hitz tells me that LOLspeak (blog, 29 April) is based largely on "Leet". In Wikipedia there is an incredibly long article about it. Kel Miller can’t decide whether LOLspeak is an interesting phenomenon or a horrifying abomination. What's shocked me the most, however, is the Bible translation project, it shows the scope of LOLspeak. How do you say Lucida? No pronunciation dictionary includes the font name Lucida. I didn’t even think of putting it in LPD3. But two people have recently asked me how it ought to be pronounced. Actually, Lucida is not the name of a single font but rather of a family of fonts: hence the names Lucida Sans Unicode, Lucida Grande, etc. 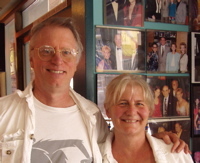 They were designed by Charles (‘Chuck’) Bigelow and Kris Holmes in 1985. The question is whether we should say ˈluːsɪdə (or with lj-), just like lucid plus a final schwa; or whether it should be luːˈsiːdə or even a great-vowel-shifted luːˈsaɪdə or an Italianate ˈluːtʃɪdə. As an Italian word, meaning ‘shining, lucid’ (f.), lucida is indeed ˈlutʃida. Spanish has both lúcida and lucida, again feminine adjectives, with slightly different meanings. The first is ˈluθiða, ˈlusiða and the second luˈθiða, luˈsiða. However, we are talking here about English, not Italian or Spanish. And in English we look to Latin. English lucid is taken from the Latin adjective lūcĭdŭs. Since the penultimate i is short, the regular Latin stress rule means that stress goes on the antepenultimate, the lū-. Dropping the masculine ending ‑ŭs, as is usual, yields English ˈl(j)uːsɪd. The feminine form of the adjective is lūcĭdă, with the same stress. Keeping the feminine ending, we would get ˈl(j)uːsɪdə. There are no other English words ending -ida that might provide an analogy, except perhaps in a learned singular of such zoological taxonomic terms as Psittacidae, Vespidae, Ovidae, all with antepenultimate stress. The penultimate-stressed armada and pagoda do not provide models. The first comes via Spanish from the Latin feminine past participle armāta, with a long penultimate vowel and therefore penultimate stress. The second is from Portuguese, “probably ultimately from Persian butkada ‘idol temple’” (COD) and so not Latin-derived. Meanwhile, I vote for ˈluːsɪdə. Hello? Tristan McLeay of Melbourne thinks he normally pronounces hello (blog, 28 April) as hæˈləʊ. He claims that most or all Australians spell the word as hello and pronounce it correspondingly with he‑. However in Victoria e is lowered to æ before l, which makes celery-salary and shell-shall homophones. 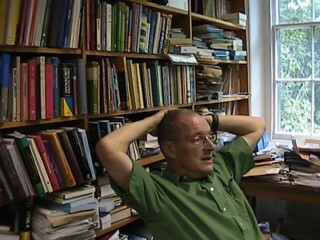 (Compare David Deterding’s idiolect, blog 1 Nov. 2007). Hence hæˈləʊ. The Macquarie Dictionary lists hʌ‑, hə‑. I'm not sure I've ever heard an Australian use the former pronunciation. I would've expected it to list he‑. My own rather ancient (1981) copy of Macquarie, the standard dictionary of Australian English, confirms these prons but lists all three spellings hallo, hello, hullo.